Have you been trying ways to attract people’s attention to express your opinion? Now you wouldn’t need to shout out loud anymore because your necklace will speak out for you, stylishly. 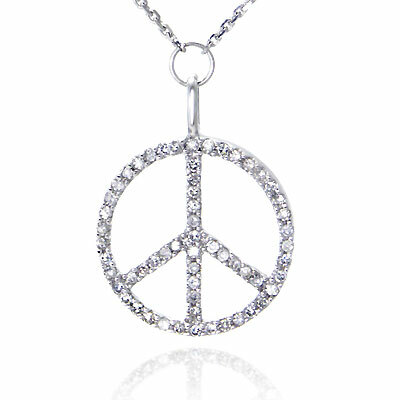 This peace pendant and necklace are made with the chic white gold. Moreover, the ultimate attention-grabber is definitely the sparkling diamonds on the pendant.